If your hand isn’t steady enough for liquid eyeliner, line your eyes first with a pencil liner, and then trace over it with liquid. 2. Make a less pigmented eyeshadow more vibrant by covering your eyelid with a white eyeliner first. 3. 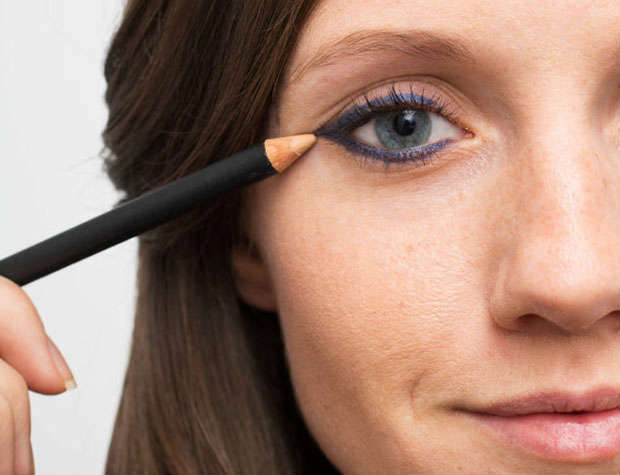 Create your own custom eyeliner with a wet liner brush and eyeshadow. 4. 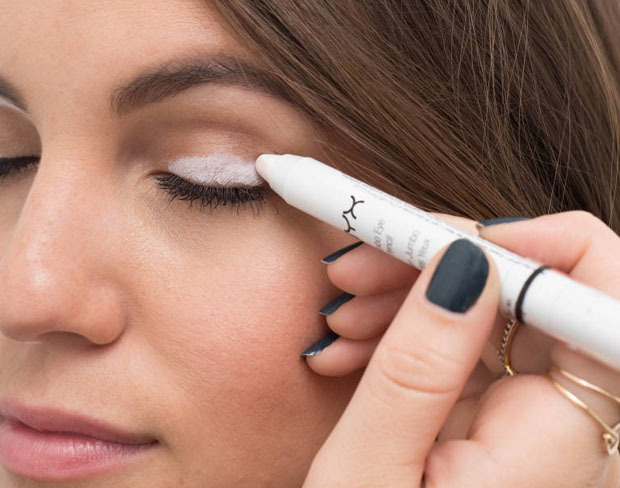 Use white eyeliner as a brow highlighter for an instant eye lift. 5. Simplify drawing a straight line by lining your eyes with dots first, and then connecting them. Make sure your dots aren’t too big. They should be the same size that you’d like the width of your line to be. 6. 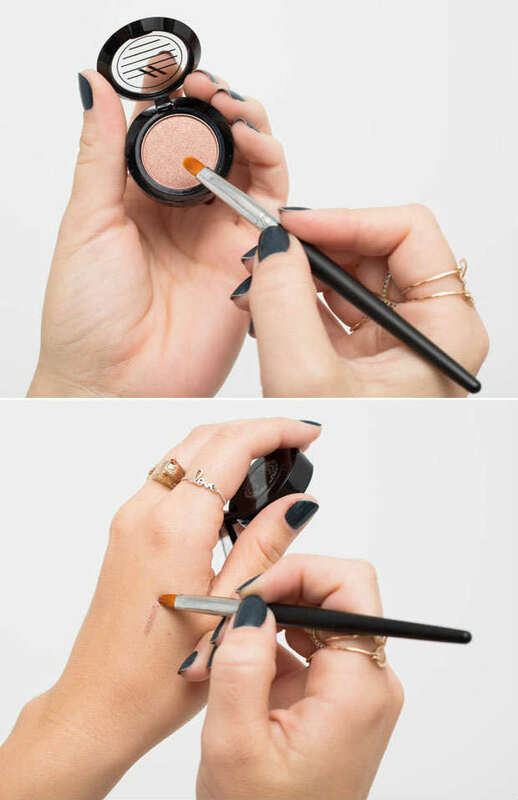 Fix smudges with a skin-colored eyeliner. If you’ve smudged your liner a bit too much, draw over it with a skin-colored liner instead of wiping it off and starting over. This is also a great trick if you want to make the line super-sharp. 7. 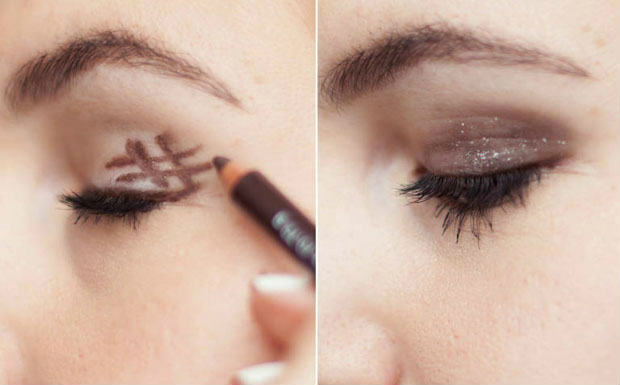 Get the perfect smoky eye by drawing a hashtag on the outer corner of your eyelid and smudging it out with the sponge. 8. 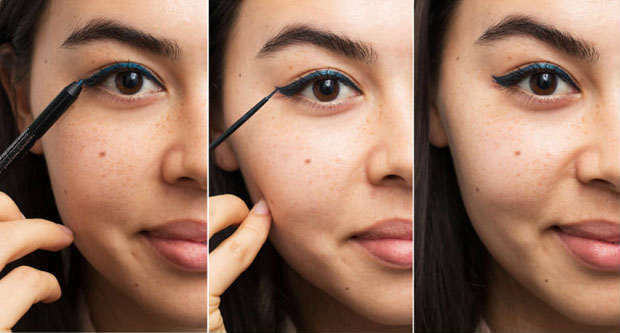 Use mascara as eyeliner with a liner brush. 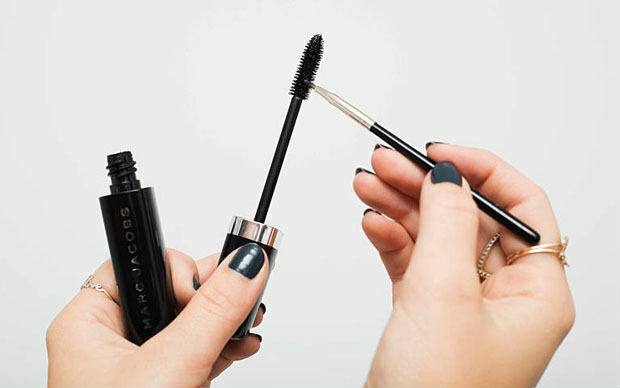 If you don’t have any eyeliner, use some of the product on the brush of a mascara wand to line your eye.